← (Invasion) Hit Parade: Elvis Costello at Lisner Auditorium, annotated. 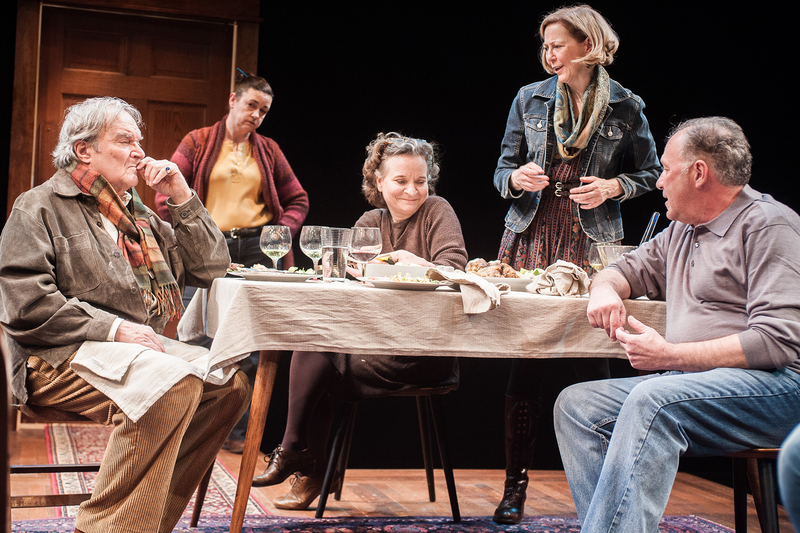 More Plays About Gatherings and Food: (Half of) The Apple Family Plays, reviewed. The Studio Theatre is staging two of Richard Nelson‘s four Apple Family Plays, the last of which had its world premiere at the Public Theater in New York only last Friday, in repertory. The pair at Studio are That Hopey Change Thing and Sweet and Sad. My review of both is on Arts Desk now, and will show up in print in next week’s City Paper. Happy Thanksgiving. This entry was posted in theatre and tagged Elizabeth Pierotti, Kimberly Schraf, play reviews, Richard Nelson, Rick Foucheux, Sarah Marshall, Serge Seiden, Studio Theatre, Ted van Griethuysen, The Apple Family Plays, The Studio Theatre, The Washington CIty Paper, Washington City Paper. Bookmark the permalink.